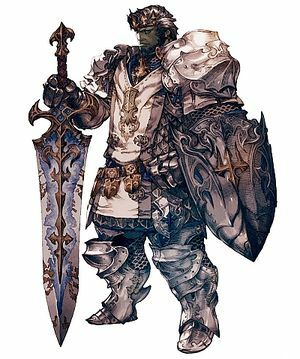 FFXIV has many classes and it can sometimes be overwhelming to choose one because you’re new to the game and you don’t know which class fits your play style the best! Here’s a quick rundown of every class that the game has to offer. FFXIV is an MMORPG with a holy-trinity class system. This means the classes are divided into 3 roles: Tanks, Healers, and Damage Dealers (DPS for short). The job of the tank is to make sure the only person in the party taking damage is themselves. The job of the healer is to keep everyone alive, and the role of DPS is to do damage. The class system in FFXIV is unique. You start out as a “Base Class” and you evolve that class into a “Job” at level 30. Only Jobs are used at endgame, as they are superior in every way to their class counterparts. There are even some Jobs that don’t start as classes, but I’ll get into that in a bit. Let’s begin! The tank is my personal favorite role to play in MMORPG’s. They have a duty to protect the party and make sure all the attention (also known as “enmity” or “hate”) is on them. A good tank will even put out respectable damage. Tanks are also usually referred to as the “leader” of the group. They decide when to attack, when to rest, and are generally looked up to. Tanks usually wear heavy armor and have higher than normal HP. They also have an arsenal of abilities which reduce damage taken. There are three tank classes in FFXIV. The Paladin is a moderate HP tank with unmatched physical damage mitigation. (Thanks to your shield!) They make use of many, many abilities which reduce damage taken. They even have moves which allow you to directly take physical damage for another party member. 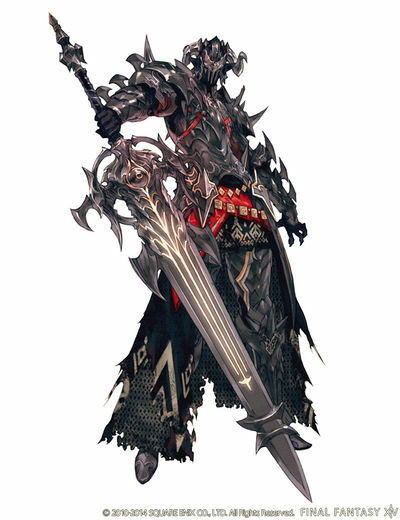 The PLD has 2 stances: Sword Oath and Shield Oath. Shield Oath buffs your defenses while lowering your attack strength and Sword Oath increases the damage of your auto attacks. At higher levels, Paladins get a very strong heal that they can use on themselves or allies. One of their best abilities is called “Hallowed Ground”. It makes them completely invincible for 10 seconds. It should also be noted that PLD’s do the least amount of damage out of any tank. The Paladin is an all-around solid choice for a tank and is also a great beginner Job, as it is easy to play in the later levels. The Warrior is a very-high HP tank that has does not over-excel in either Physical or Magical defense, but rather in damage and self-healing. They have 2 stances: Defiance and Deliverance. Defiance reduces damage dealt by 25%, increases max HP by 25%, and increases HP recovery via healing magic by 20%. Deliverance increases your damage dealt by 5%. The Warrior, hands down, does the most damage out of any tank. This makes Warrior a fantastic off-tank. (In fights with 8 players, there are 2 tanks. The tank not currently keeping the bosses attention is called the off-tank) Warriors have a move called “Holmgang” which makes it so they can’t drop below 1 HP for 6 seconds. WAR is a bit harder to play than the PLD later on, but it is an easier Job to start out as. I would still recommend it for new players. 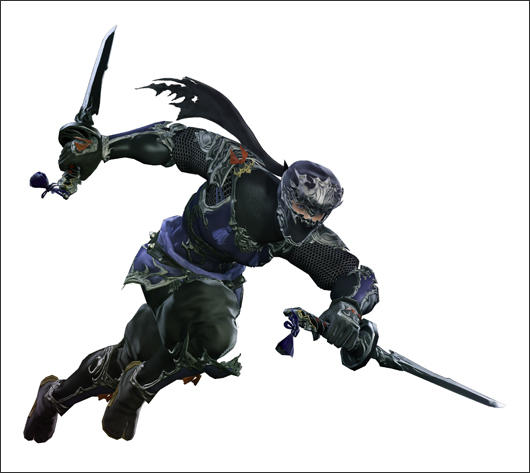 The Dark Knight is a moderate HP tank with very good magical damage mitigation. Their playstyle involves heavy MP management, decision making, and micromanagement. What’s unique about DRK is that their tank and their damage stances (Grit and Darkside) are both active at the same time. Despite this, they do a bit less damage than WAR, but still more damage than PLD. Darkside constantly drains your MP. A good DRK will never let Darkside fall off. Dark Knights have an ability called “Dark Arts” which consumes 1/4 of their maximum MP and enhances the next ability they use. You can use this for extra defense, or for an offensive advantage. They also have a decent amount of lifesteal. Finally, DRK’s have a move called “Living Dead”. It makes it so they can’t fall below 1 HP for 10 seconds but the DRK will die if he isn’t healed for hismax HP before the 10 seconds is up. 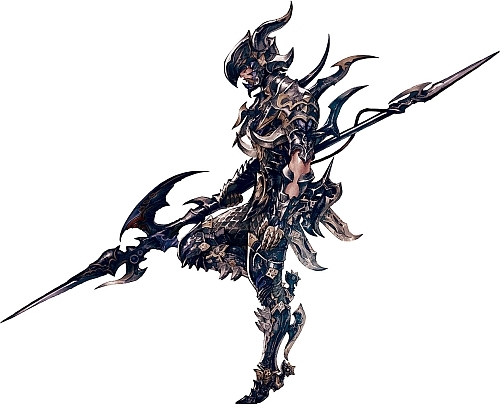 I would not recommend DRK to new tanks, due to their high skillcap and instant level 30 start. The healer is a role that has alot of responsibility. They have no make sure everyone stays alive. If someone goes down, their job is to resurrect them back into battle. A good healer will keep everyone alive. A great healer will do the same, but also deal as much damage as they can in their downtime. Think you’re up to it? Let’s take a look at FFXIV’s 3 healers. The White Mage is a very reactive healer and has the best raw heals in the game. It has an arsenal of HP regeneration abilities as well. WHM’s have a limited supply of MP, but it can be refreshed by using abilities called “Shroud of Saints” and “Assize”. Perfecting your MP management is the key to being a good WHM. 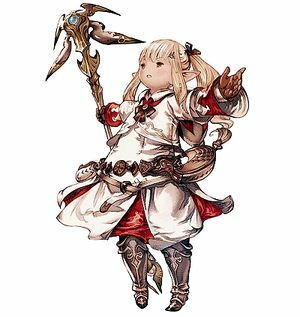 If you’re looking for a healer that can also do a decent amount of burst damage, then WHM is for you. They have a move called “Cleric Stance” which swaps their healing power with their damage power. It’s quite effective when used by a skilled player. It’s also worth noting that the other healing Jobs can cross-class Cleric Stance as well. One of their best healing moves is called “Benediction” which instantly restores all of the target’s HP. WHM is great for new players because they are very simple to play early on. 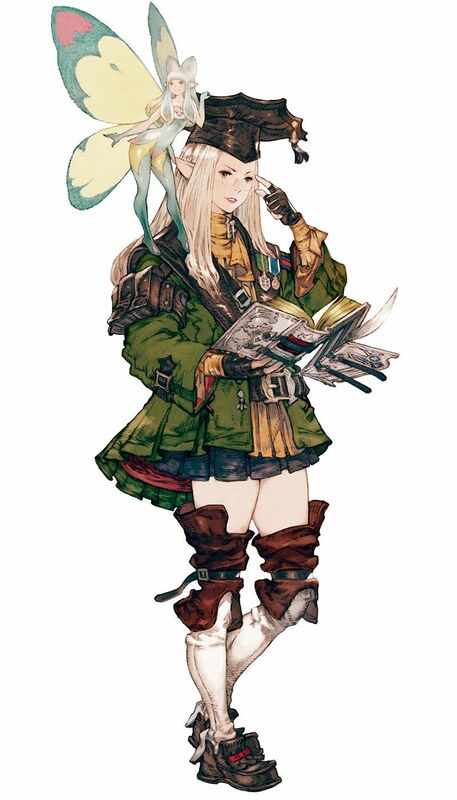 Scholars are masterful tacticians of the battlefield that heal alongside their fairy pet. SCH’s are known for their large shields and proactive playstyle. They have an ability called “Aetherflow” which allows them to restore MP and use certain healing abilities every 60 seconds. This means that SCH’s have alot less MP problems than WHM. SCH’s can also dish out the most damage out of any healer. Their main source of damage is from their DoTs (damage over time attacks) that can be spread and can constantly deal damage while the SCH is busy healing. The SCH is one of the hardest Jobs to play in my opinion, simply because of all the micromanaging that has to be done. I would however, recommend SCH to new players, because they aren’t hard to learn, they’re just very, very hard to master. 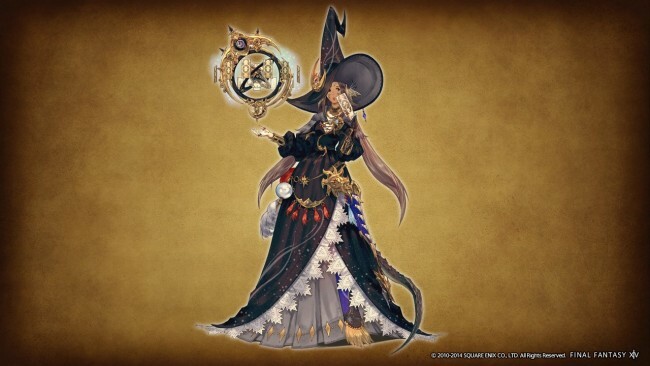 The Astrologian is very reminiscent of a healing time mage. They can heal in either a regeneration or a shielding stance and they regen MP with a move called “Luminiferous Aether”. The AST’s main gimmick though, is their “Draw” system. Once every 30 seconds, the AST can draw a random card and either store it, shuffle it, or enhance their next draw. There are 6 different cards and their buffs range from MP regen to increased damage. They can also extend the duration of these buffs (or even HP regeneration abilities) with a few of their time-oriented abilities. AST has cool damage abilities, but it does the least damage out of any healer. The AST is a very fun class and honestly isn’t insanely hard. (Definitely more difficult than WHM, though) If you’ve never healed before you can certainly give it a shot, just make sure you don’t get too overwhelmed! This is the most commonly played role in FFXIV (or any MMO for that matter…) and for good reason. Nothing quite beats the feeling of getting a huge crit, or annihilating your enemy with your level 3 Limit Break. If you aren’t a fan of having alot of responsibility, DPS is the role for you. I don’t mean that in an insulting way or anything, alot of people truly hate having all that stress on them and I don’t blame them. Now, that isn’t to say that DPS aren’t as important as the other roles, because they are. At endgame, DPS have to deal the most amount of damage possible while also following mechanics and sometimes even helping out party members. Here are FFXIV’s 7 DPS Jobs. 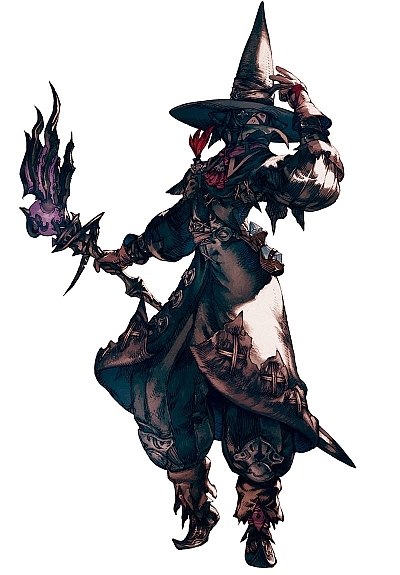 The Black Mage is a ranged magic caster that focuses on Fire, Ice, and Lightning. The class revolves around balancing buffs known as “Astral Fire” and “Umbral Ice”. (And in later levels Enochian, but you don’t have to worry about that right now) One buff regenerates your MP while the other makes you do more damage at the cost of more MP. The BLM is very burst-oriented, meaning they only attack once every 2.5-3 seconds, but the amount of damage they do in a single attack is very high. They also have fantastic AoE (area of effect) damage. BLM’s can also zip around the battlefield by teleporting to their allies. If you like huge flashy attacks, while also being a stationary turret, BLM is for you. Summoners are the 2nd Job that Arcanist branches into. (the first being SCH) They can summon one of three pets that help you deal damage. Your main source of damage is your DoTs. At later levels, you get very flashy and bursty attacks similar to BLM, but gameplay still mostly revolves around DoTs. Alot of their abilities are instant cast, meaning they have decent mobility. 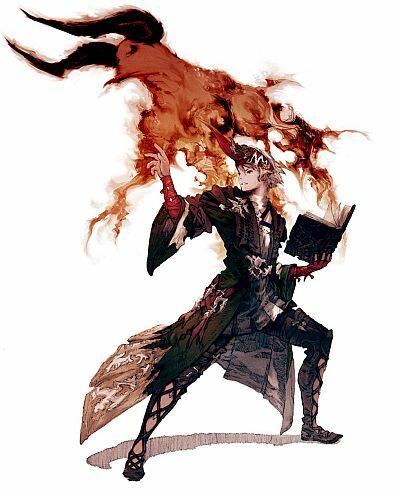 SMN’s also use “Aetherflow”, but it gives them access to awesome damage abilities rather than healing ones. One of SMN’s pets is a tank, which makes them a fantastic solo class as well. They are the only DPS Job that can raise allies from the dead mid-combat. SMN has the best AoE damage in the game. The Bard is a very mobile ranged physical damage dealer that can play songs to buff their allies. (while sometimes lowering their damage as a consequence) At higher levels, they can play a song that turns them into a caster, giving them much less mobility but much higher damage. 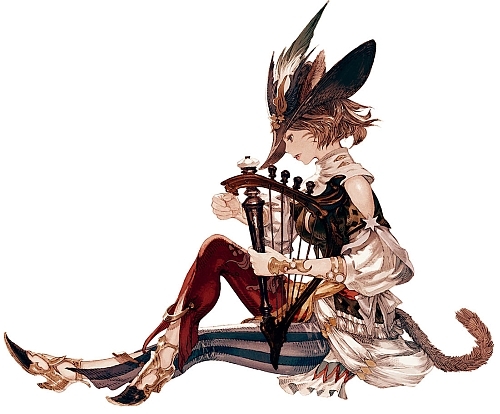 The mastery of that song is what determines a great BRD. They even have a song that can lower the magical resistance of their enemies, making them great when paired with a BLM or SMN. Requirements: Purchase Heavensward, attain level 50 on one Job, and complete the entire “Vanilla” FFXIV storyline. The Machinist is very similar to the bard, but it does differ in some ways. The MCH can place a turret of his choice down on the battlefield to do damage. Turrets can also be switched to different modes that buff allies. 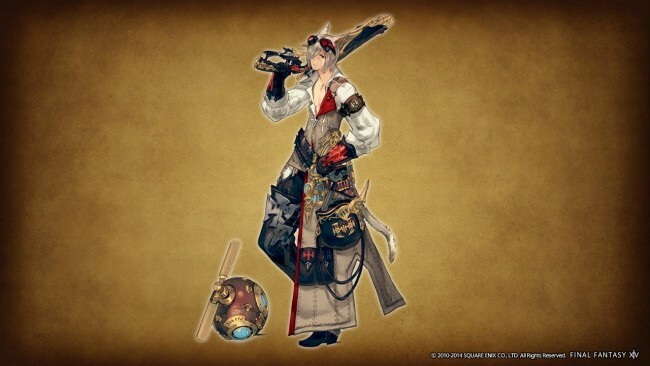 Like Bard, MCH is a mobile physical damage dealer up until later levels, where they can put an attachment on their gun that makes them do more damage while giving their moves cast times. MCH doesn’t do the most damage of the DPS Jobs, but it has fantastic utility. The Monk is a lightning fast melee DPS class that revolves around keeping up a buff called “Greased Lightning”. The MNK has great sustained DPS on a single target and does good AoE damage (at later levels). Most of MNK’s attacks are positional, meaning you have to move yourself to the back or side of the enemy, depending on the move you have to use next. It’s not required to follow your positionals, but they do alot more damage and will sometimes trigger ceertain effects. Mastery of positionals and timing is what makes a MNK great. If you like a fast paced technical melee class, you will really like MNK. Ninjas are a stealthy melee DPS that can use a special ability known as “Ninjutsu.” By combining certain “mudras” together, NIN’s have a variety of Ninjutsus they can cast once every 20 seconds. (Aoe Damage, DoT, Attack Speed Buff, Burst Damage, Bind, etc…) Ninja has some unique moves that deal with enmity as well. They can take enmity off themselves, give it to someone else, and reduce hate generation on a party member. This makes them a great addition to any party. Ninjas can also use “hide” and walk around while invisible while not in combat. People have been known to use this to skip trash in certain raids. If you’re a fan of assassin classes, you should definitely give NIN a try. Dragoon. The poster-boys of Heavensward. These guys wear incredibly cool looking armor and carry their lances to slay any dragons they come across. 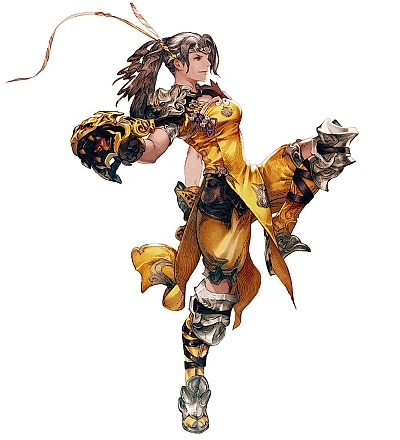 Their gameplay involves some buff juggling, some positional damaging, (similar to MNK) and jumping. They have many different jumps that allow you to dive back down and crush your enemies. 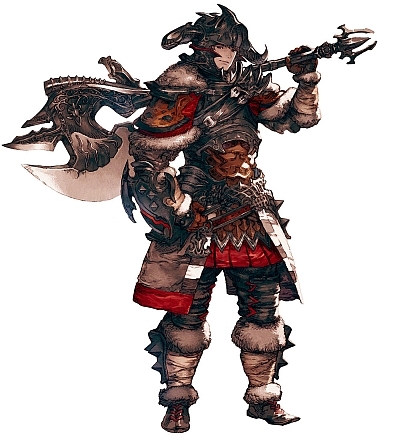 Dragoons are more of a bursty melee DPS and can do a very good amount of AoE damage. They also have a piercing debuff they can place on enemies that benefits Jobs such as BRD and MCH.